The Club Championship is an annual competition open to all members of London Frontrunners. Club members earn points by participating in races over the club year with prizes awarded to the top three placers in various categories as well as to the overall male and female Club Champions. All club members are eligible to take part in the Club Championship, however only first claim club members are eligible for the prizes. Club members earn points over the course of the club year by participating in core and non-core races. The core races are ten designated races of various distances, locations and terrains. Participants at the core races earn both participation points and position points. A non-core race is any race which is timed by UK Athletics and is one of the following lengths: 5k, 10k, half marathon and marathon. Participants at non-core races only earn position points. There are a total of fourteen opportunities to earn points: ten core races and four non-core race distances. Each club member’s top eight scores will be added together to reach their total score. How do you earn participation points? Club members earn 20 participation points by taking part in each core race which forms part of the Met League Cross Country season and 10 participation points for each of the other five core races. How do you earn position points? For each core race, all club members participating will be ranked in order (fastest to slowest) and score points from 500 downwards in each race. The fastest runner will get 500 points, the second fastest will get 499 points, and so on. For non-core races, all race results for each of the four distances will be consolidated into a single results table. Club members will be ranked in order (fastest to slowest), for each distance, and score points from 500 downwards. How many races do you need to run to qualify? Is there a minimum or maximum? Club members can qualify for the Club Championship by running just one race. However, we encourage members to run as many as they can, as the more races they run, the more points they will get. Whilst there is no maximum number of non-core races that club members can take part in, they can only submit one time for each distance so we encourage them to submit their fastest times. What if I can’t make it to one of the core races? Can I run a different race to make up for it? No, but if the missed core race is one of the four non-core distances (5k, 10k, half marathon or marathon), you can run a non-core race of the same distance and your time will be ranked against all other club members who have run a non-core race of that distance. However, you will not receive any participation points. Do I need to run in a club vest? Yes, you need to run in a club vest to earn points at a race, whether core or non-core. I’m a second claim club member? Am I allowed to participate? Yes, participation is open to all London Frontrunners regardless of whether they are first or second claim club members. 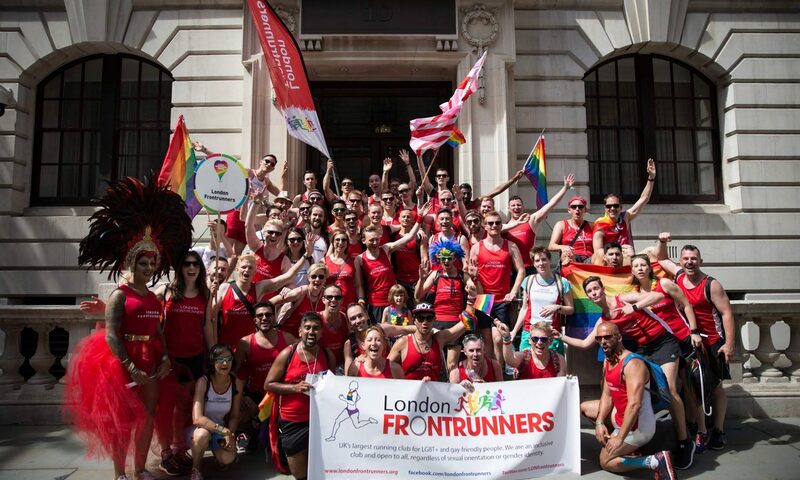 Second claim club members will be fully included in the results table and they will have an overall ranking in the final positions, provided they are running for the London Frontrunners and/or wearing a London Frontrunners vest. However, second claim club members will not be eligible for prizes. How do I inform the club of my non-core race times? You should send your “non-core” race results to the Race Secretaries at [email protected] by 28 February 2019. Can I keep my name private on the results? Yes. Just let the Race Secretaries know by emailing them at [email protected] that you don’t want your name to be publicised on the results. You’ll still be included but your name will be anonymised.